You wanted the best to come back? We got ‘The Best’ to come back! 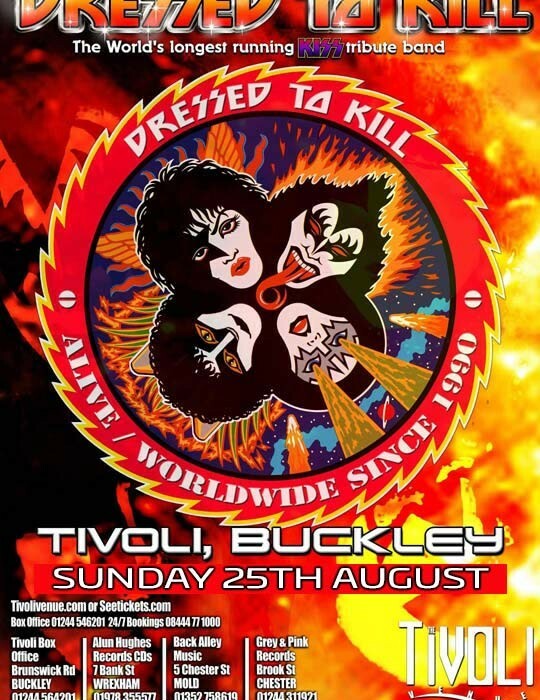 Dressed To Kill, the world’s longest-running tribute to Kiss, and since 1990 they’ve played throughout the UK, Europe, Scandinavia, and in Japan, replicating with scary accuracy the look & sound of a KISS show. 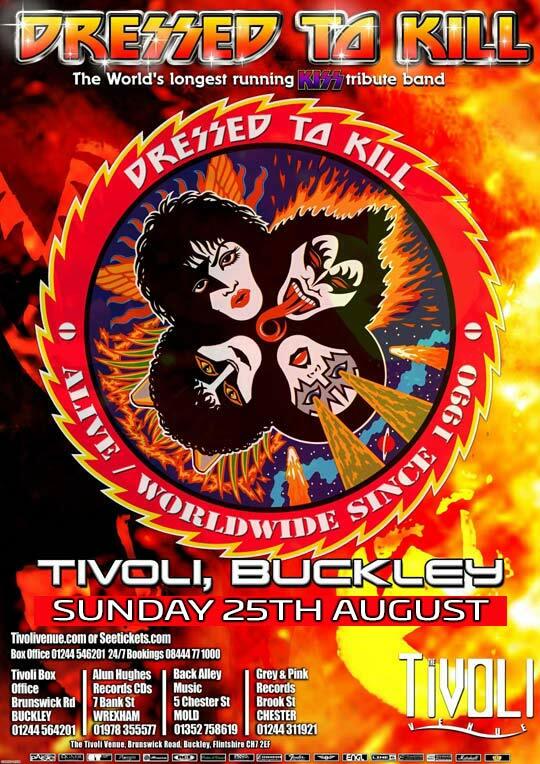 They’re coming back to The Tiv with their 2+ hour set of hits & rare classics, bloodspitting, firebreathing and massive pyro! “The worlds top Kiss Tribute” – Kerrang! SKU: DTT_190825. Category: Kiss Tribute. Tags: Kiss Tribute, Metal, Rock, Tribute.